Jerppy has been a member of the GOW eSports scene dating all the way back to 2016. Throughout Gears of War 4, he has had stints under well-known organizations Team Revenge, Team Allegiance and eUnited securing multiple Top 4 placings both on LAN and online during his tenures. 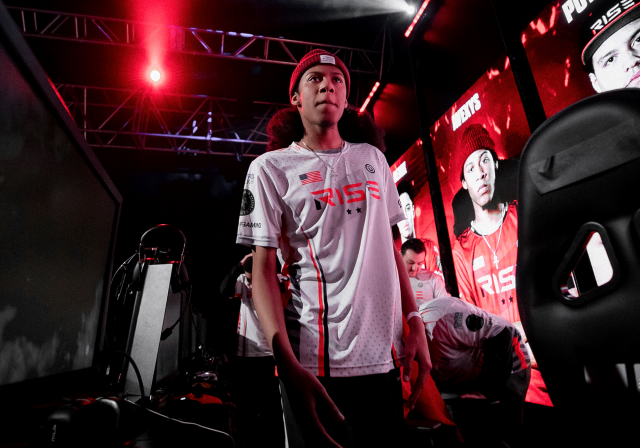 Jerppy’s most recent finish saw a 9th-12th placing at the Gears Pro Circuit New Orleans Open under Simplicity after a defeat to GosuCrew in the Loser’s Bracket. Previously known more as more of a “Home Hill” player, Jerppy will be jumping into more of a slayer focused role with this new roster. While a role change may take some adjusting, both he and the rest of the roster believe it will be a seamless transition. When asked about what we should expect from this new roster he stated that “I expect the plays we make in game to be more team oriented instead of individual. Win as a team, lose as a team. Only through playing together can we rise to the next level.” Jerppy will be making his official Rise GOW debut this Sunday during the Online 2K Series. Be sure to follow Rise Nation on both Facebook and Twitter to stay up to date on everything Rise GOW!